Sarah Nader- snader@shawmedia.com Master Model Builder David Howard of Crystal Lake fixes a piece in the Miniland Chicago exhibit at LEGOLAND in Schaumburg Tuesday, January 28, 2014. Howard is only one of six in the U.S. and 11 in the world with the title. 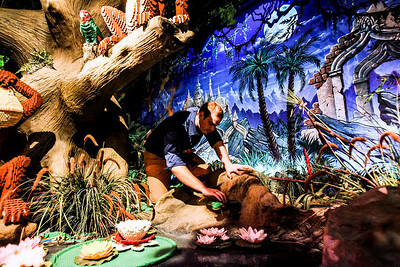 He creates new models and exhibits at the center as his full-time job. 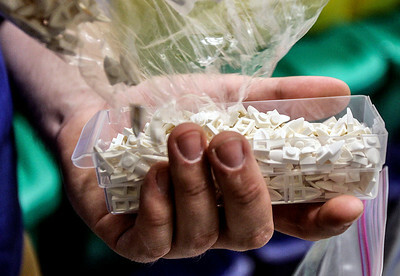 Sarah Nader- snader@shawmedia.com Master Model Builder David Howard of Crystal Lake rearranges a Lego lizard at LEGOLAND in Schaumburg Tuesday, January 28, 2014. Howard started the job two weeks ago after working at the New York City location for 10 months. 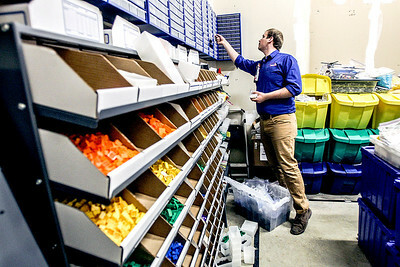 Sarah Nader- snader@shawmedia.com Master Model Builder David Howard of Crystal Lake organizes different Lego pieces in his office at LEGOLAND in Schaumburg Tuesday, January 28, 2014. Howard is only one of six in the U.S. and 11 in the world with the title. He started the job two weeks ago after working at the New York City location for 10 months. 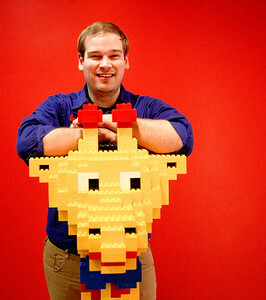 Sarah Nader- snader@shawmedia.com Master Model Builder of LEGOLAND David Howard of Crystal Lake poses with a giraffe at LEGOLAND in Schaumburg Tuesday, January 28, 2014. Howard is only one of six in the U.S. and 11 in the world with the title. He creates new models and exhibits at the center as his full-time job. 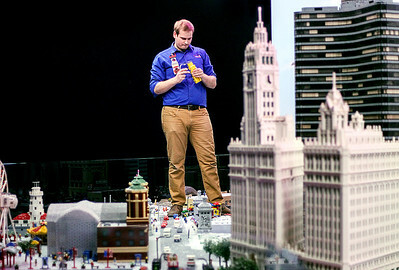 Master Model Builder David Howard of Crystal Lake fixes a piece in the Miniland Chicago exhibit at LEGOLAND in Schaumburg Tuesday, January 28, 2014. Howard is only one of six in the U.S. and 11 in the world with the title. He creates new models and exhibits at the center as his full-time job.